It automatically generates the construction drawings and the reinforcement extract for the 3D reinforcement of the drilled columns, foundation plate, corbel and/or the tympan. The foundation plate can be longitudinally and/or transversally rotated. The columns can be, on one row or on two, vertical or inclined. Concerning the foundation plate, there can be a corbel or a tympan. In the event that a tympan exists, a corbel can be connected to it. The longitudinal reinforcements from the columns can be on one row or on two (the rows are concentric). The ones with even numbers on the outer row can be shortened, and all the ones from the inner row can also be shortened. 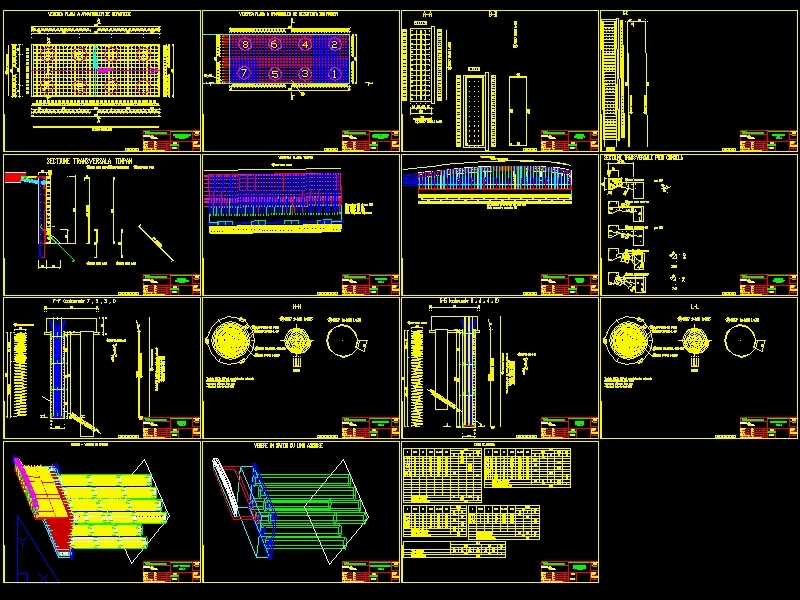 Requirements: AUTOCAD version 2008 to 2019 or BricsCAD V19.